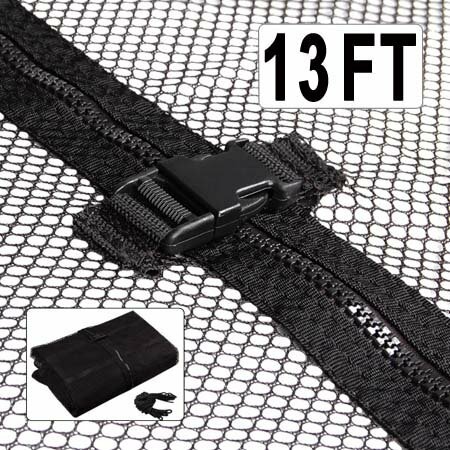 This premium enclosure netting is to be attached onto the front of a 13' round trampoline pad. It is able to totally enclose its jumpers and provides protection against bouncing out of trampoline and contact with the frames. Just replace your old and worn-out netting with this brand new one! Start a new era of bouncing and having fun together!